I was first introduced to Compassion International in high school at a Dare 2 Share evangelism conference. 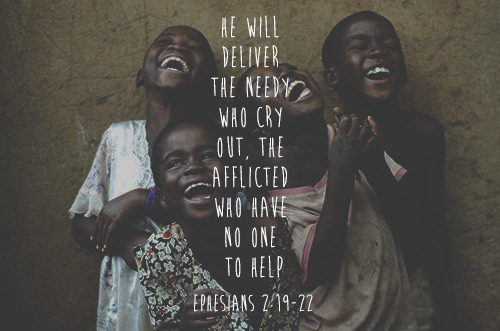 I remember sitting in the arena, tears flowing down my face as I heard about the extreme poverty many children around the face on a daily basis- all due to circumstances beyond their control or choosing. A friend and I decided to sponsor a child for a couple years together. When I went to college, I was unable to continue my support. However, the desire to be a part of a child's life was still there. About 4 years ago, when I was still living in Mexico, I was reading a friend's blog and saw that she had the opportunity to meet her child that she sponsored through World Vision. I was so moved by what I saw, but was more familiar and comfortable with Compassion International. That day, I went to the Compassion website and chose a sweet little girl who lives in southern Mexico. She is precious, and one day I hope to meet her. Just a few months ago, I was reading my daily (in)courage email, and Emily Freeman (who I met just a few weekends ago), wrote about her experience in Uganda. I knew that I would be headed there in a few months, and when I returned, I chose a Ugandan boy to sponsor. Both of my sponsored children were born on January 16, 2004. I chose Ambrose because he had been on the list for a while, and I did not notice his birthday was the same as Maria Luna's until later. Tears sprang to my eyes. That's just like God, isn't it? What I love about Compassion is that they are so consistent. They communicate well and make it clear that you matter as a sponsor. I am able to write letters to my child and receive letters as well. Periodically, I also receive a letter from the pastor of the local church or the leader of the child development center. When I receive a letter from either one of my children, I am so excited to read about how they've changed and grown. They pray for me, and I pray for them. My desire is to sponsor them until they are ready to graduate from high school. My dream is to meet them in person. Right now, I know that my heart is for children who are in very difficult situations. This is God's heart, too. Jesus wanted the little children to come to Him. God created each child with a name and a purpose. And His heart is for them to thrive, not just survive. One day, Lord willing, I would love to adopt. For right now, though, I can sponsor these two sweet children who live in countries where the Lord has stirred my heart, knowing that because of my little part in their lives, they will go to school and have brighter futures. God's heart is for children to be in families, and when they are able to stay with their families, they are empowered and inspired. Our money is not our own. The resources we have are given to us for a reason. Would you think about where your 10% or your surplus goes each month? Prayerfully consider sponsoring a child today, and know that your commitment will truly change not only the life of that child, but that of their family and community as well. Watch this video to learn more about child sponsorship. I LOVE this! Child sponsorship is SO incredibly important! I have the privilege of coordinating orphans/sponsors with our ministry and it is such a blessing seeing these children's daily lives impacted through their sponsors! Oh wow! That is so amazing, Catherine, and such an important role.